Looking for Cyprus accommodation with a difference? 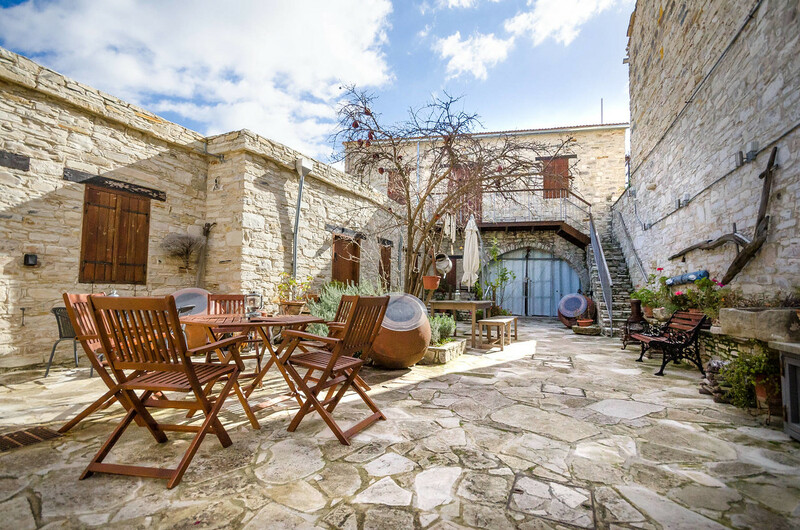 Look no further – Vavla Rustic Retreat will have you chilled out and de-stressed in no time with its charm, character and perfect location! The location, the rooms, the price…this is where you would normally start an accommodation review. While these are obviously important, this time it makes far more sense to start with the people behind Vavla Rustic Retreat. We knew we were going to be in Cyprus for some time, and we really wanted to start our experience in the most special way possible. We were going to be celebrating a 40th birthday after all! So many of the websites we visited kept pushing us towards the resorts and apartments of the busy city centres of Limassol, Larnaca, Nicosia and even Northern Cyprus. They looked fantastic, but we knew they weren’t the right ‘fit’ for us. 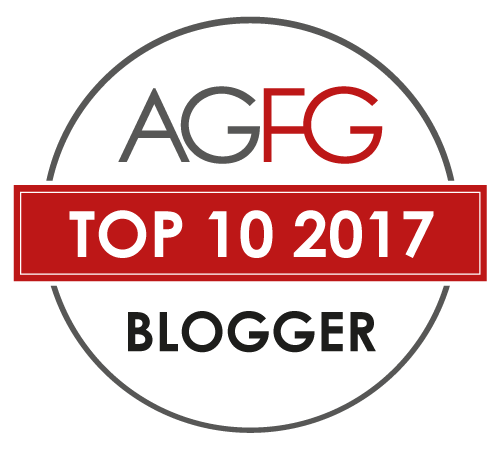 As we dug deeper and deeper we finally spotted a glimmer of light; Cyprus Agrotourism. What was it? We’d never heard of it before. However, the more we read the more excited we got. This sounded exactly like what we had been looking for! Cyprus Agrotourism – What is it? 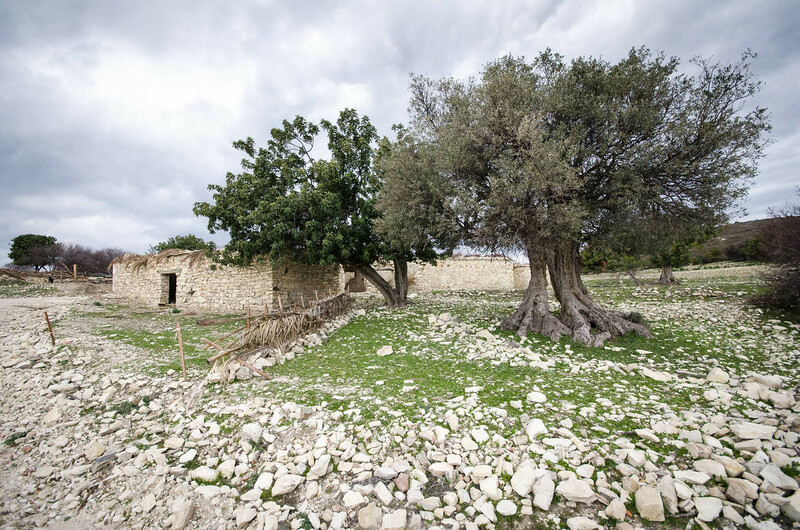 Cyprus has experienced a turbulent history, and this saw many families in rural areas leaving their homes and villages to seek better prospects abroad. Unfortunately, this resulted in significant deterioration to many of the buildings to the point that they became uninhabitable and a general desertion of many of these rural villages. However, since the 1990s these fortunes have turned for the better and with government support many of these families have started returning to their villages, to rebuild and use these assets as a new source of income for their families through tourism. Agrotourism Cyprus was established to support these entrepreneurs and to provide a coordinated approach in marketing this wonderful tourism opportunity to the world. 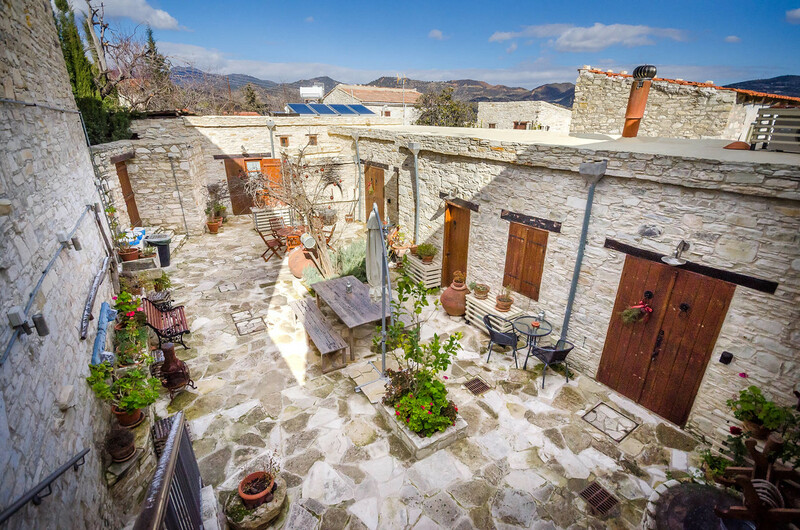 Since then, membership has exploded from seven to more than 77 members, with 100 traditional houses and boutique hotels established in around 60 villages across Cyprus! 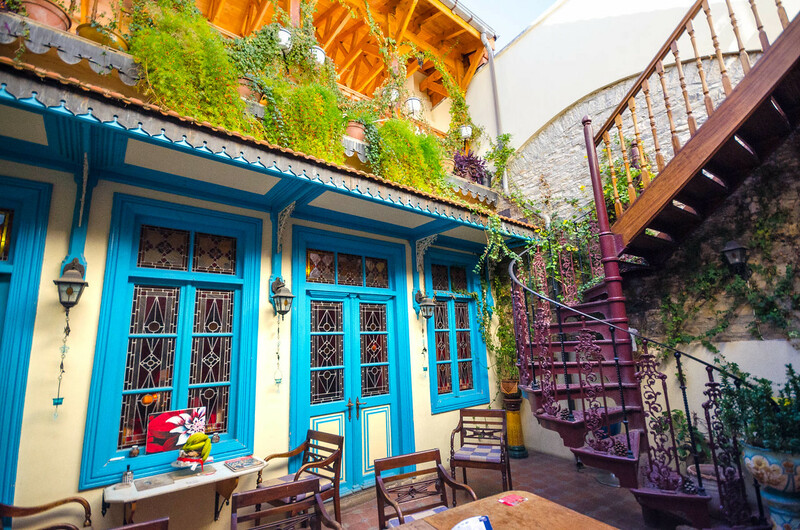 Visitors to Cyprus’ sunny shores are absolutely loving the concept, and when you look at some of the gorgeous little stone houses and cobblestone alleys of the villages, it’s not hard to see why. We were sold! But where should we stay? 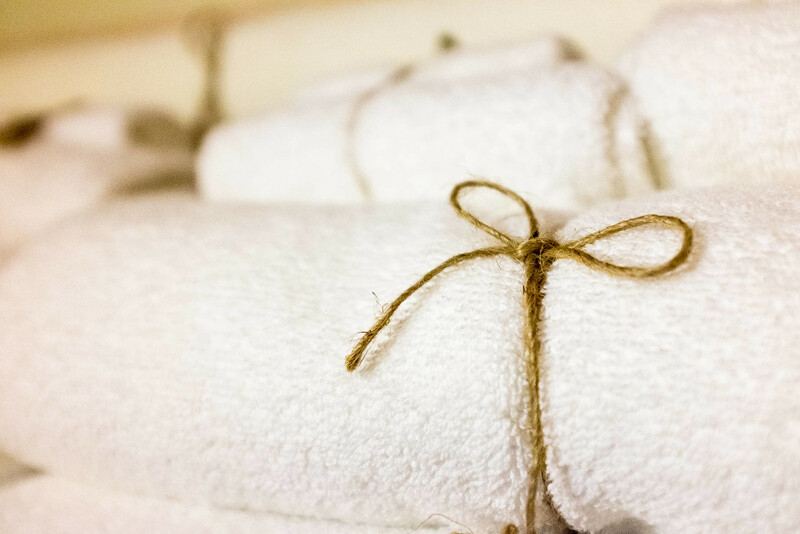 Communication is always near the top of our list when we are looking for a place to stay, and right from the outset Kelley, the manager of Vavla Rustic Retreat, made us feel like a part of the family. We had never heard of Vavla before, and after arriving in Cyprus we found out that Vavla is so small that many of the locals haven’t either! It’s a tiny village, with only around 30 residents living there on a permanent basis. We were nervous. We were booking for seven days and as much as we love relaxing we needed to know that there were other things to keep us occupied during the week. This is where Kelley stepped in and opened our eyes to all the fantastic activities and experiences available to those deciding to base themselves in and around Vavla. 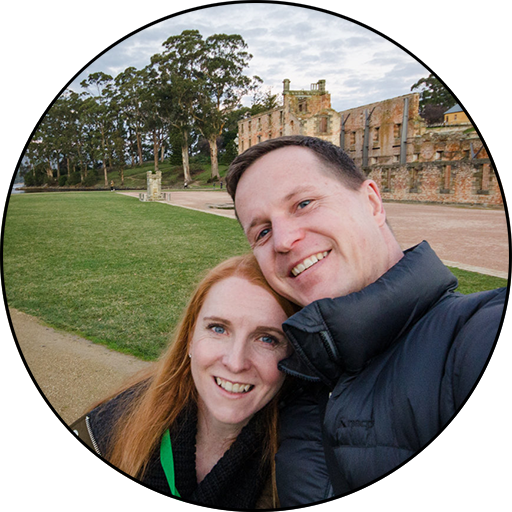 While many recommendations are listed on their website, Kelley listened to us when we told her of our love of food and nature, and she immediately started ferreting out all manner of interesting walks, restaurants and other activities that may suit us. Even more importantly, we could tell that Kelley wasn’t just another accommodation provider looking to make a euro. 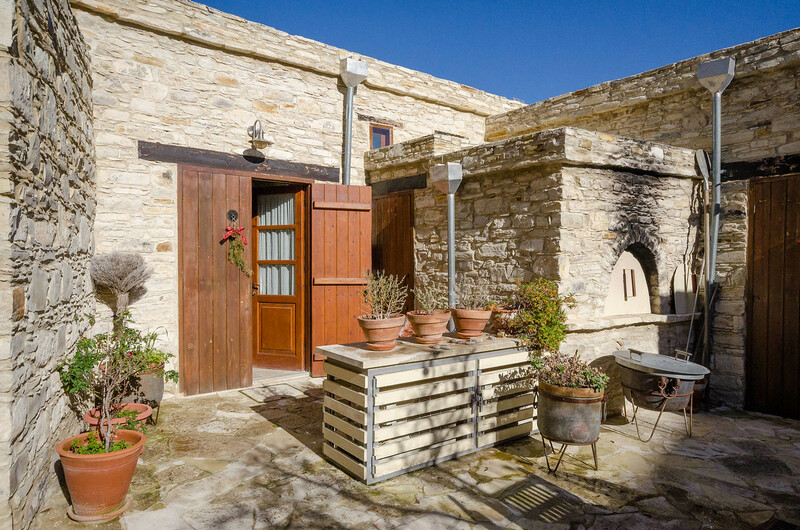 Whether it was her passion for this residence that had been their home for so many generations, or the pride in her voice when she spoke of how they successfully achieved ‘Green Key’ eco-certification for Vavla Rustic Retreat (one of only 11 accommodation providers across the whole country and the only one that is part of Agrotourism Cyprus! ), it was clear that Kelley and her family weren’t just looking to their own future, but that of the broader community as well. With all this information under our belts and after reviewing photos online of their gorgeously restored rooms (of which there are five), we booked it in! Staying at Vavla Rustic Retreat was about as different to our own home back in Australia as you could possibly get, but in the best possible way! 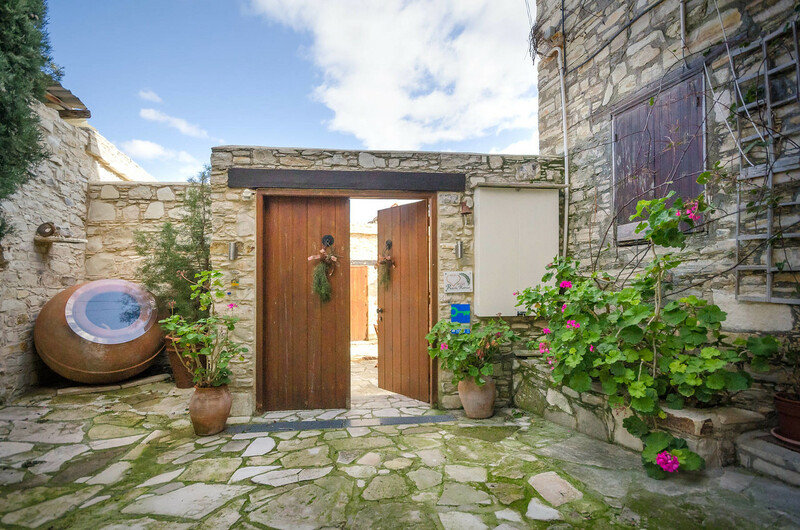 On opening the timber doors you are presented with the most beautiful, rustic courtyard. We visited in winter and so most of the trees and flowers were still lying dormant, but we can just imagine the riot of colour you would see in the warmer summer months! A couple of glasses of local wine, a platter of grilled meats from the barbecue and a Cypriot salad by your side, what better way to spend a lazy afternoon with family and friends? Around the white stone walls (sourced from the local area) had been hung old farming tools and cooking artifacts, while at our feet were large clay amphorae and even an old well. There were even two clay ovens, one large and one small, that get a workout every Easter when the Polis family bake traditional Cypriot pastries called ‘flaounes’. It was like we had stepped back in time! We stayed in the ‘Mulberry’ studio apartment and couldn’t have asked for more. The golden light streaming through the skylight added such a feeling of warmth, while the numerous historical photos and baking tools hung on the walls provided a connection to the past that is so absent in today’s harsh, minimalist architecture. It was completely unexpected but Kelley had also been so kind as to provide us with a welcoming bottle of red wine from the local winery, Ktima Christoudia. What an introduction to not just Cypriot hospitality but their fantastic wine industry as well! The room is spacious, with plenty of room for our two large suitcases and two backpacks. It was also reassuring to know that there was a safe in which we could store our valuables if necessary. Self-catering is how we normally tend to travel, and for this we found the kitchenette to be simply perfect. 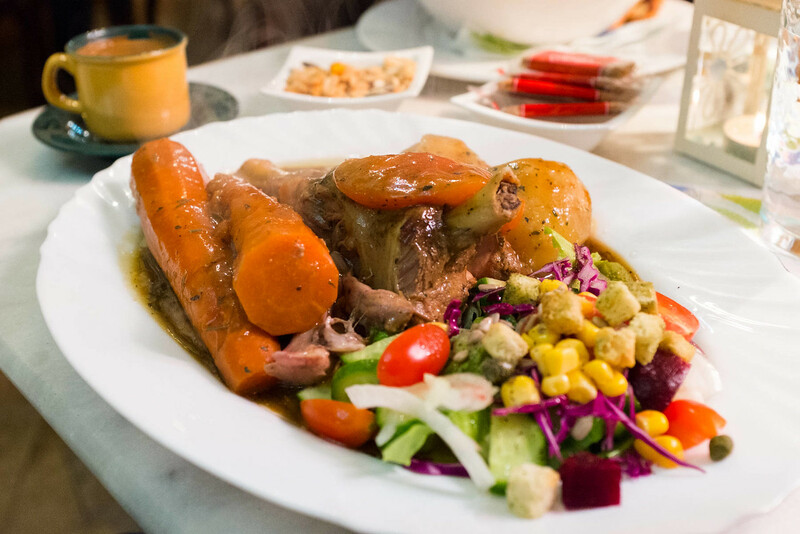 Meals aren’t provided at Vavla Rustic Retreat, however their friends Donna Marie and George next door do offer a fantastic breakfast and/or dinner option. There was no way we weren’t going to try their incredible food (you can read more about this amazing experience here), but other than that almost all our meals were made from scratch in the Mulberry kitchen. The oven and hotplates worked perfectly every time, and the microwave proved very handy for reheating our meals. It was so thoughtful of them to include a fruit juicer as well. It was perfect after a visit to their orchard down by the river (an activity that is available to all guests in the harvesting season) where we picked two bags full of oranges, tangerines and lemons. There’s nothing like a freshly squeezed OJ to start the day! The bathroom was also spotlessly clean and well equipped. A hair dryer is available and the toiletries from local business ‘Cyherbia’ were of a very high standard. One of the goals of both Kelley and Agrotourism Cyprus is to minimize the environmental impact of tourism. Cyprus has the benefit of 326 sunny days per year meaning solar power is the perfect source of renewable energy. What this means is that for nearly the entire year all your hot water requirements at Vavla Rustic Retreat can be met by the sun! Even in winter this can be possible, but for those days when the clouds roll in or late in the evening after the sun has gone down, there is a boost button that can meet the shortfall. With environmental sustainability in mind, Kelley is also the first in Vavla to introduce a rubbish recycling scheme, and was even successful in lobbying her local government representative to install a battery operated recycling bin in central Vavla for the whole village to use! We didn’t get a chance to experience the hot summers that Cyprus is renowned for, but we did have a spot of snow! Even in such unusually chilly conditions the heating system (which also doubles as an air-conditioner) was more than adequate to handle the cold winter nights and cool days. Just keep in mind that you may need to give it time to warm up, as the stone walls understandably take a little bit of time to absorb the heat. One of the most important aspects of a holiday is ensuring you get a good night’s sleep. There’s nothing worse than tossing and turning all night, ruining any chance of relaxation the following day, no matter how good the scenery! 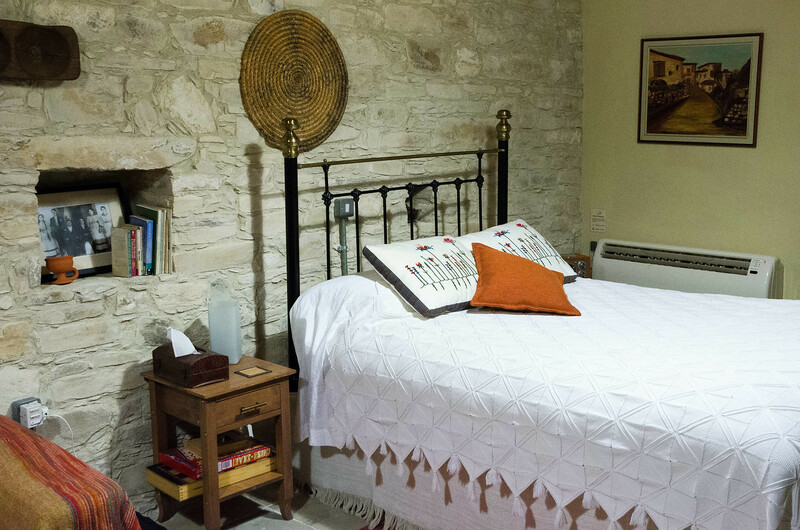 This isn’t something you need to worry about at Vavla Rustic Retreat, as the lovely antique bed is extremely comfortable and there are plenty of extra blankets if you need to rug-up against the cold. It is such a serene location, with the occasional village cat for company, that it would be quite easy to completely forget about the hustle and bustle of modern life back home. However, if you can’t do without your digital connection then free high speed wi-fi is available to all guests, and the television does pick up several English language programs. While the village itself is quite small and very quiet, it’s surprising how many things there are to do in the area! 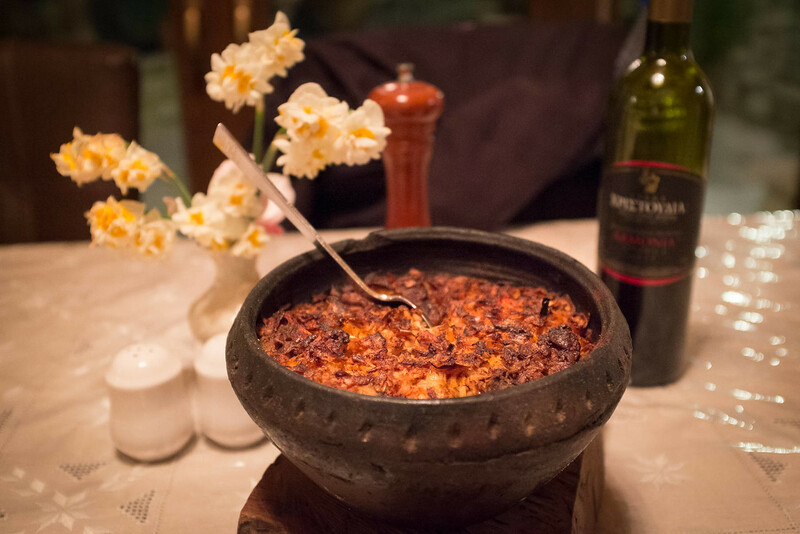 Right next door to Vavla Rustic Retreat is the restaurant ‘Our House’. Offering authentic Cypriot breakfasts and/or dinners, Donna Marie and George are the perfect hosts. Friendly and welcoming, they have vast experience from running a restaurant in the USA and have an intimate knowledge of the local cuisine that they would love to share with you. It was one of our very best experiences in our time on the island! For other meal options, further afield you’ll find plenty of great cafes and restaurants in Kato Drys, Lefkara and Kornos, while the bright lights of Larnaca are only a 20 minute drive away. Whether you drive or walk is your choice, but a visit to Ktima Christoudia is a must for any visitor to the region. 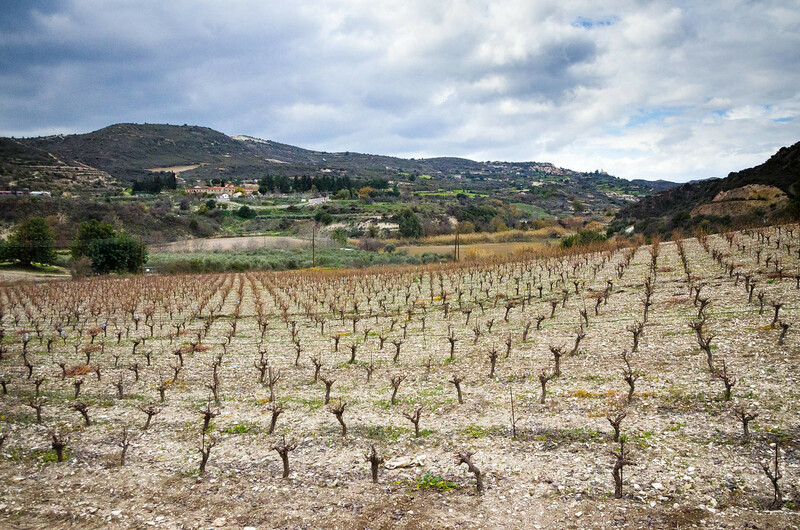 The Cypriot wine scene is experiencing fast growth and a lot of interest from overseas due to their unique wines of increasingly high quality. Ktima Christoudia is one of the best and they would be glad to offer you a free tasting! 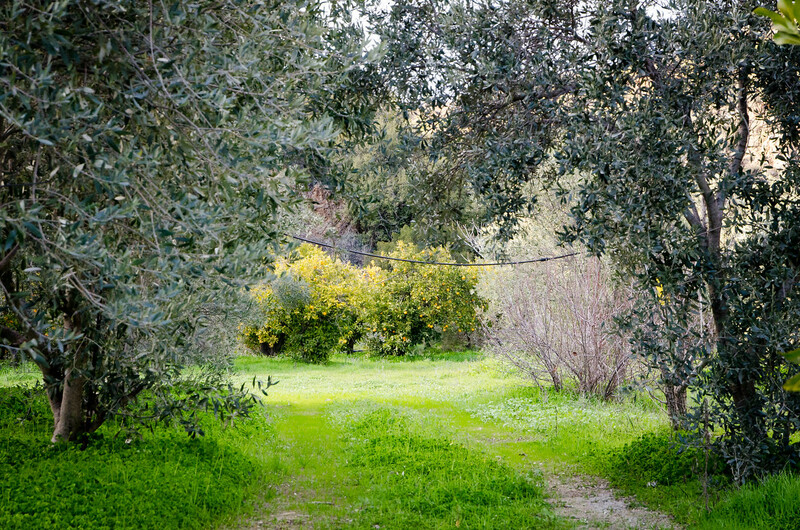 When the fruit or olives are in season then you are welcome to arrange a trip with Kelley down to the family orchard by the banks of the Agios Minas river to pick some fruit or learn more about the ancient process of making olive oil. 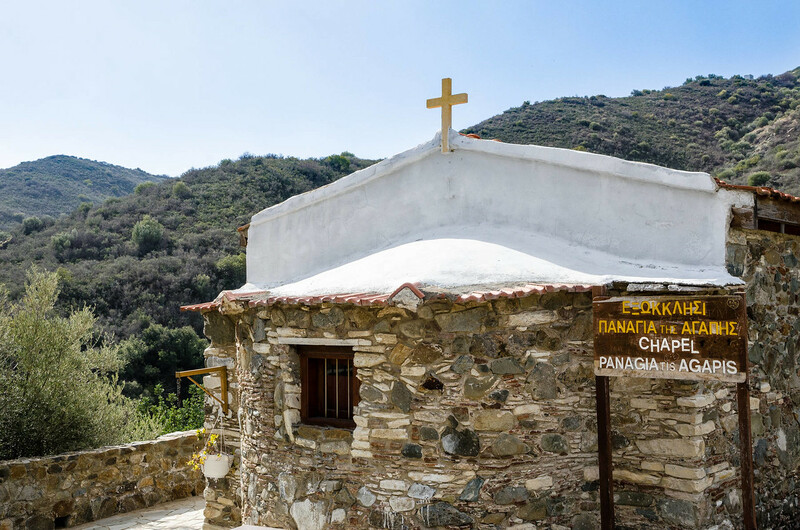 There is a fantastic hike that takes you in a loop up the valley to the secluded Chapel of our Lady of Love (Panagia tis Agapis) and then up onto the ridge top and back again. On the outskirts of Vavla is Ecophysis, a recently established family business that would love to introduce you to beekeeping and all the amazing products that they make from their bees. Book in a tour! 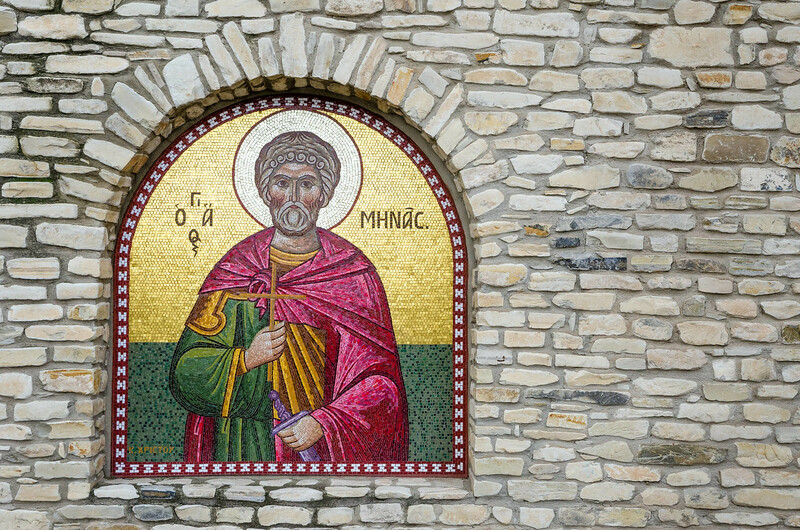 A short walk away is the beautiful Agios Minas monastery. See their exquisite mosaics honoring the saints, feel the centuries of history behind the ornately decorated chapel at the heart of the monastery, and support the nuns in their future endeavors by purchasing an icon or other souvenir from their tiny shop. 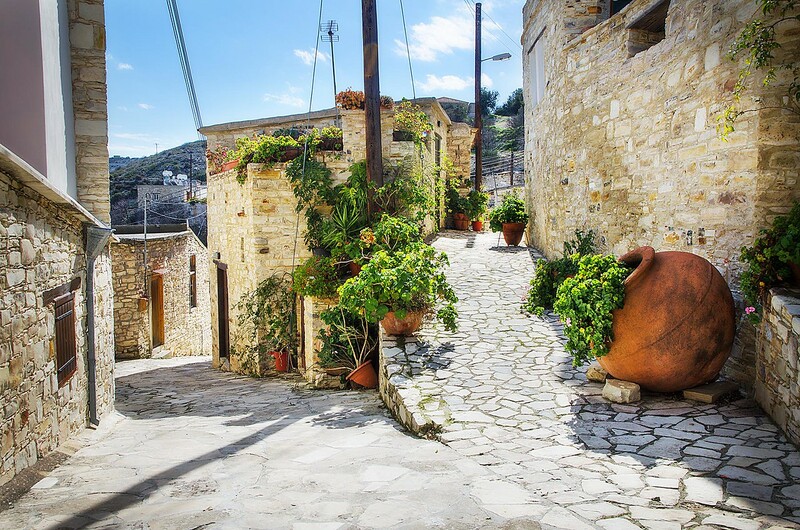 The villages of Kato Drys and Lefkara are very pretty, and a day spent walking their cobblestone streets and seeing the fantastic lacework, silver and other traditional handmade products that come from these villages is well recommended. Would you like to explore a ‘ghost town’?! Only 15 minutes from Vavla is the deserted village of Parsata. Easily accessible by 2WD, to walk among the tumbled down ruins and imagine what life must have been like in the early 1900s for this mining village is quite an eerie experience. You can find it here on Google Maps. The name is simply perfect. There are no harsh concrete walls and chandeliers here. A stay at Vavla Rustic Retreat is all about stepping back in time, to a quieter, more simple world. 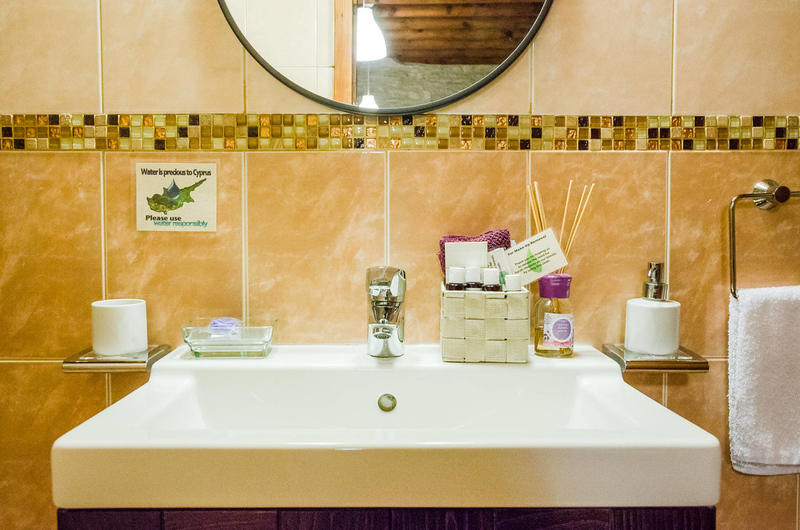 Whether you’re an artistic type looking for solitude and inspiration, or perhaps it’s time to escape the corporate rat race and de-stress, Vavla Rustic Retreat will soothe your soul and bring back an element of balance to your life and that of your family. We like to call Vavla the diamond of the east, and it won’t take long for you to see exactly why we rate it and Vavla Rustic Retreat so highly! 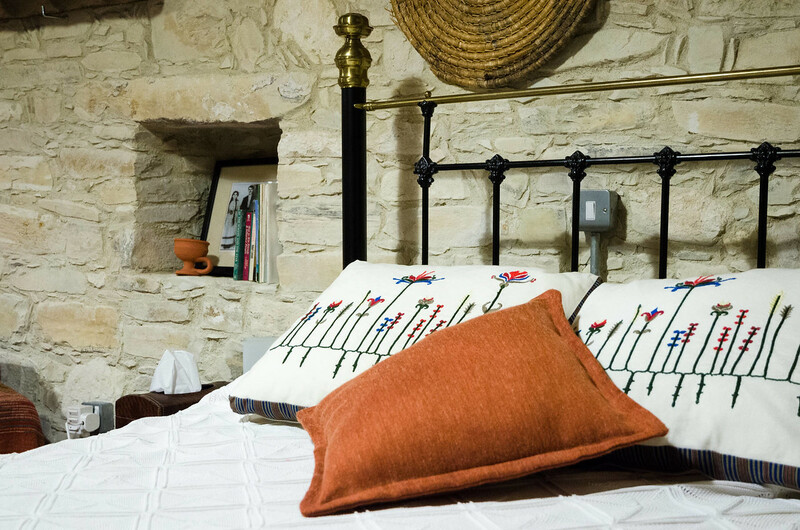 Style of accommodation: Rustic stone buildings from the 1800s, including an old converted stable, restored and modernised to present the best of both worlds to the discerning traveller. How to get there: From Larnaca Airport it’s a 35 minute drive. The first 20 minutes are via the broad and fast A3, A5 and A1 highways, and then from the Choirokoitia exit another 15 minutes up into the Troodos foothills along a winding but high quality and well signposted sealed road. Point of difference: The opportunity to experience, if only fleetingly, the history and beauty of a time long gone. The rooms: Rooms start from €55 per night (minimum two night stay, although a single night can be booked for a small surcharge), with some rooms sleeping up to four people. Language: Kelley is originally from Ohio in the USA, so her English is excellent and communication won’t be any trouble at all! Make a booking! : For some great reviews from other travellers, have a look at Vavla Rustic Retreat on Tripadvisor. You can also check availability and rates, or make a booking on Booking.com. Are you looking for more information on things to do in Cyprus? We’re in the process of writing half a dozen guides, so keep checking back for more info! Northern Cyprus Holiday Guide <– Northern Cyprus is a strange place, but soooo incredibly beautiful! This village is about a ten minute drive from mine and is where my uncle (my mum’s sister’s husband) is from! So I’ve spent many good times there. Your post has made me feel incredibly homesick. I’m so happy that you enjoyed your time there and that you’re drawing attention to Agrotourism in Cyprus – it’s such a shame to see the villages deteriorating with time, so I’m happy that the initiative exists. I was wondering if I was recalling my place names correctly as I was browsing your blog. The town is Ora if I’m not mistaken? You’re so lucky to have grown up in such a beautiful corner of Cyprus and we’re really looking forward to seeing more. We just arrived in Polis today where we’ll be staying for a week, after which we’ll be staying in Vouni for another week before moving on to Lefkosia.